Our law firm represents individuals charged with DWI, Refusal and Criminal charges. It’s all we do. Our office is located in Red Bank, just a few short miles from the Wall Court. Attorney Al Mollo has appeared in the Wall Court hundreds of times and has represented many clients charged with Wall DWI Refusal. 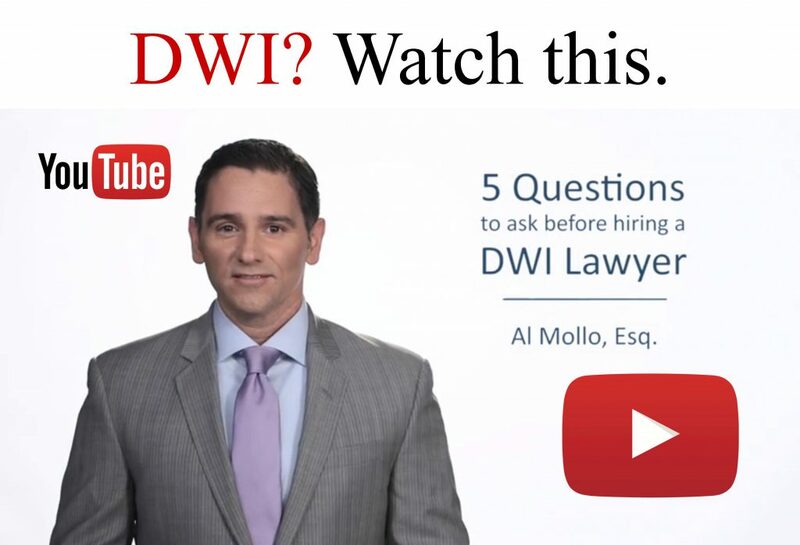 Mr. Mollo has training related to Wall DWI Refusal cases and is one of only a select few attorneys in New Jersey to be certified in DWI Refusal Field Sobriety Testing. He is also responsible for winning a landmark DWI Refusal appeal in the case of State v. Rodriguez-Alejo. 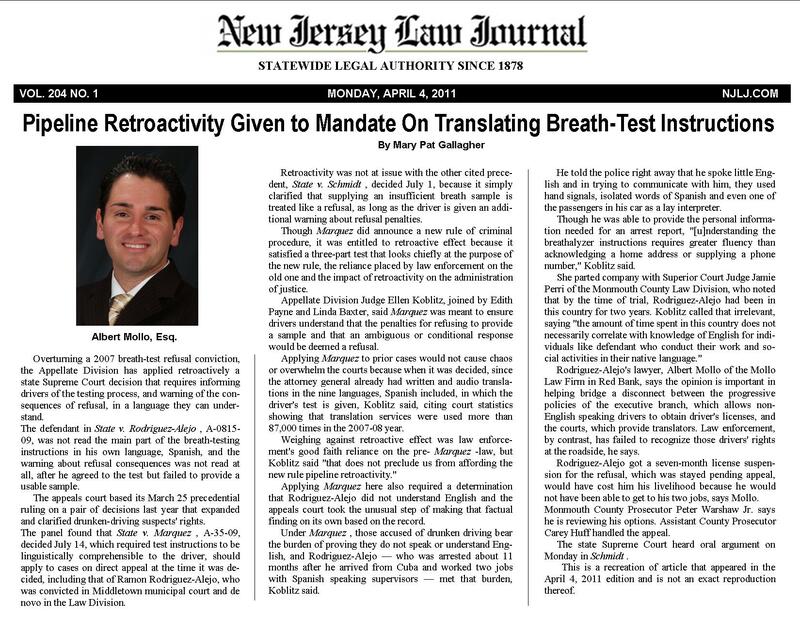 The New Jersey Law Journal article related to the case is below. The law in Wall and throughout New Jersey requires all drivers to provide breath samples to determine impairment. If you are facing DWI Refusal charges in Wall , it is essential that you have an experienced Wall DWI Refusal attorney by your side. If you are charged with DWI Refusal in Wall or anywhere in the state of New Jersey, please contact our office for a free consultation. You can call 732-747-1844. You can also text message Al Mollo directly at 732-567-2441, or contact him via e-mail at amollo@mollolawfirm.com. Or, simply click below for an instant consultation. Thank you.